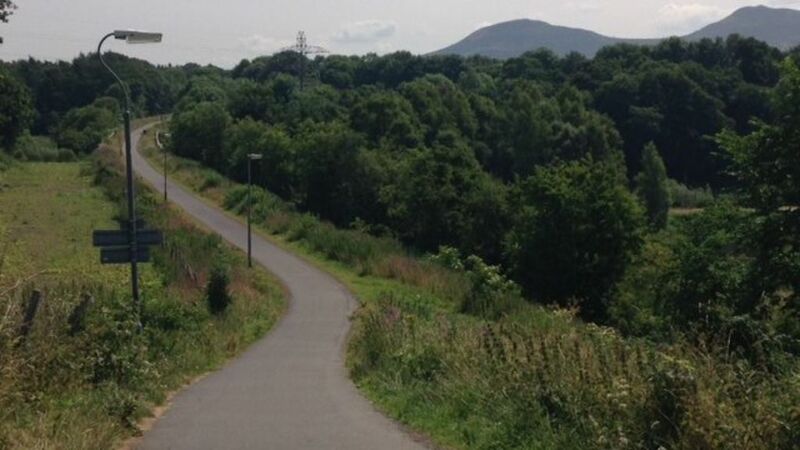 Rail contractors have promised to leave a popular Borders path open to the public for as long as they can before work gets under way on a new rail link. Gates and fences have gone up on the Black Path in Galashiels - from Langlee into the town centre. It was due to be shut from Monday but the public will still have some access while preparatory works continue. Rail contractors promise to leave a popular Borders path open to the public for as long as they can before work gets under way on a new rail link. View west along the Black Path from Tweedbank towards Galashiels on 11 April 2013. The sign reads NO WORKS WITHIN THIS AREA.